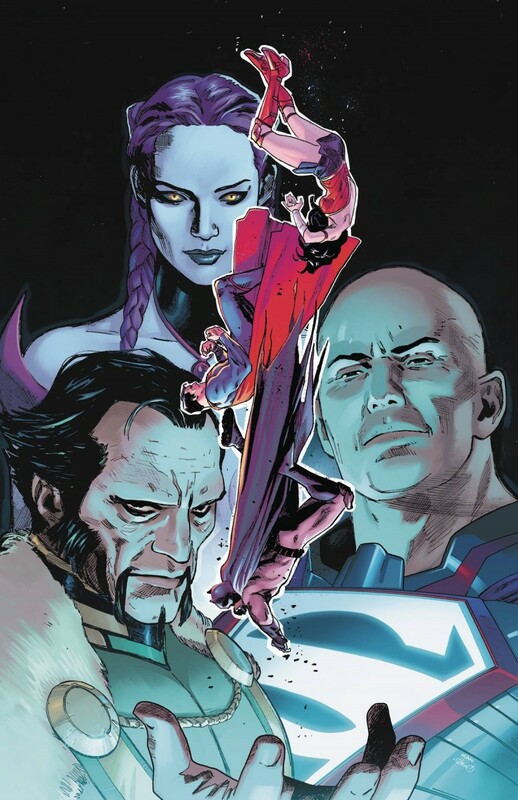 In this issue, which features art by Clay Mann and Miguel Mendonça and a cover by Clay Mann, darkness looms as the unholy trinity of Ra’s al Ghul, Circe and Lex Luthor gather! As the deadly and mystical Pandora pits are bubbling over, Circe’s dark prophecy is foretold—but which side will Lex, the so-called “Superman of Metropolis,” fall on? And who will stop the monstrous… Composite Trinity!